The International Youth Initiative Program (YIP) is now in its 4th year and provides an opportunity for 40 young people aged 19-25 to spend a year in intensive study and project work to prepare themselves for an active role in promoting virtuous change in the world to deliver a human-centered future, sustainable lifestyles and a world that respects all its citizens and works to improve the physical, environmental, spiritual well-being of all world citizens. During the week beginning 23rd April 2012 YIP participants undertook debate, design and policy-oriented project work to identify how to deliver a sustainable future for the planet and its inhabitants and how to design and deliver high quality sustainable lifestyles that avoid over-consumption and eradicate poverty and inequality. On Friday 27th April the group decided to bring all these discussions and conclusions together in a formal memorandum to the Rio + 20 conference with a strong message that very specific and tangible changes need to be made by local communities, national governments and international organizations to deliver sustainability. These are the changes the group wishes to see put in place in the world and we formally submit them to you for consideration and adoption. Fulfill requirements of millennium development goals. Free sexual health service worldwide. Developed nations should fund basic numeracy and literacy development programs in low income and middle income countries (no multinational/corporate funding/propaganda). Increase in education of sustainability topics. Develop and use alternative progress measurement to GDP e.g. the Index of Sustainable Economic Welfare (ISEW); ISEW should always increase. Reserve bank is not allowed to charge interest. Agreed industry standards (recycling, energy, cradle to cradle). De-privatization of water, education, healthcare, public transport. Introduce basic income, an unconditional, government-insured guarantee that all citizens will have enough income to meet their basic needs. 50% reduction in military spending worldwide (funds to clean transport, clean water, organic and local food production, renewable energy, and cradle to cradle). Planetary boundaries (Note 1) – a requirement to avoid breaching boundaries and repair those dimensions already breached should be mandated in international law by 2022. Action plan for recycling in every country. Each country must return to 1950’s forestry percentage within ten years. 100% organic agriculture worldwide (subsidized) in ten years. All food should be produced on small scale local farms, make large-scale monoculture illegal. Reduce meat production by 35% in three years (2015… Money goes to subsidize vegetarian food production). Move investments from nuclear energy to renewable energy technology, deconstruct ALL nuclear plants, and reach 90% renewable energy by 2022. 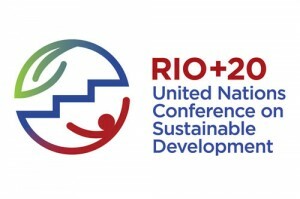 RIO + 20 call to action – 10% energy reduction per family worldwide, increase in renewable energy for each family. Reduction in cost of train travel and increase in cost of plane travel. No private vehicles in city centers; public transport, walking and cycling only.